Bibliography: Jules Lieure 386; Édouard Meaume 648; Pierre-Paul Plan 287. 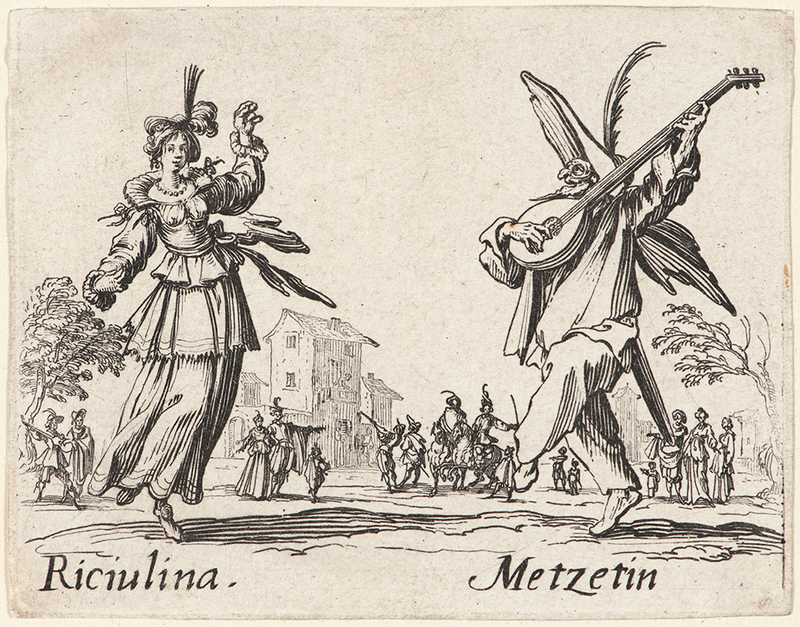 Riciulina and Metzetin, . From Dances of Sfessania (Balli di Sfessania). Etching. First of two states. Plate: 72 x 92 mm (2.8 x 3.6 in.). DAC accession number 1962.4.1.8. Purchase funds, 1962. Open Access Image from the Davison Art Center, Wesleyan University (photo: M. Johnston). http://dac-collection.wesleyan.edu/obj3278 is a persistent link to this page with no user-session information.